Honor 8C was launched in India which features a 19:9 display panel with a traditional notch. It is also powered by an all-new Snapdragon 632 SoC. The smartphone has a face unlock feature that uses the frontal camera sensor along with an artificial intelligence (AI) algorithm to recognise facial features of users. Gradient colour options are also available on the Honor 8C that brings it against other Honor smartphones. 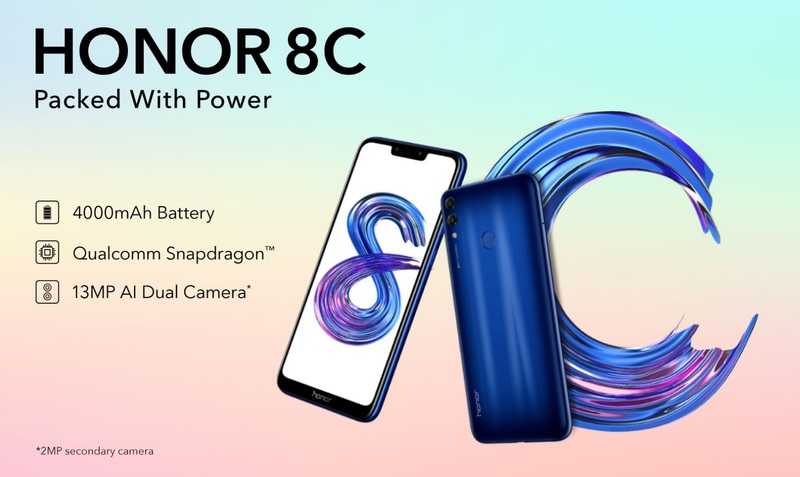 Honor 8C price in India has been set at Rs. 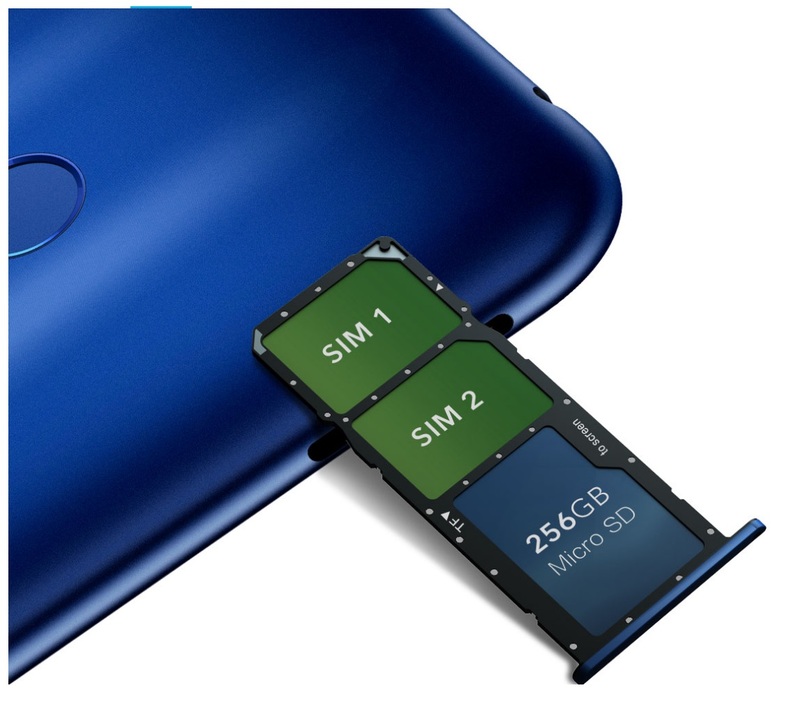 11,999 for the base 4GB/ 32GB storage model, while its 64GB storage variant is priced at Rs. 12,999. Both variants come in Aurora Blue, Magic Night Black, Platinum Gold, and Nebula Purple colour options. The Honor 8C will go on sale in the country exclusively through Amazon.in and HiHonor Store starting December 10. 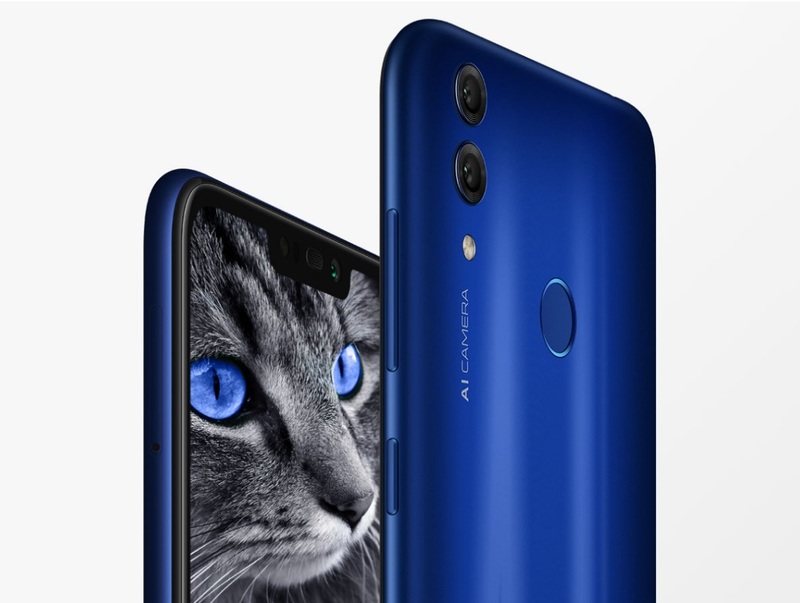 The dual-SIM (Nano) Honor 8C runs EMUI 8.2 based on Android 8.1 Oreo and features a 6.26-inch HD+ (720x1520 pixels) TFT IPS LCD panel with a 19:9 aspect ratio and 86.6 percent screen-to-body ratio. Under the hood, there is an octa-core Qualcomm Snapdragon 632 SoC, coupled with Adreno 506 GPU and 4GB of RAM. The smartphone sports a dual rear camera setup that includes a 13-megapixel primary sensor and a 2-megapixel secondary sensor, paired with an LED flash. For selfies, the smartphone has an 8-megapixel camera sensor at the front that has a fixed focus lens with an f/2.0 aperture and a selfie toning light. There is an AI-backed camera app to support the given hardware. The app is touted to recognise over 500 scenarios in 22 different categories and optimises settings. Further, the Honor 8C comes with HDR support to improve photo quality and an AR lens feature. Honor has also provided an AI Shopping feature that detects the object and searches for a similar item or its alternative online using the built-in NPU. The Honor 8C has 32GB and 64GB of onboard storage options that both are expandable via microSD card (up to 256GB). 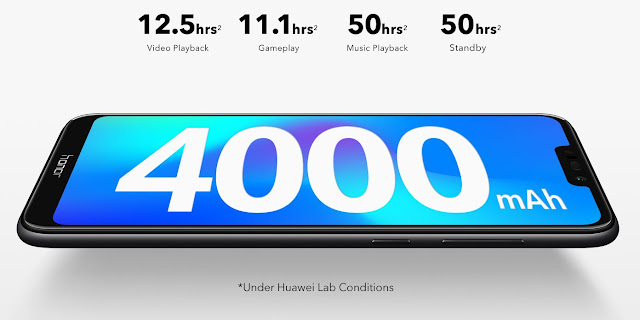 The smartphone has 4G VoLTE, single-band Wi-Fi 802.11 b/g/n, Bluetooth v4.2 LE with aptX, GPS/ A-GPS, GLONASS, BeiDou, a Micro-USB port, and a 3.5mm headphone jack on the part of connectivity. Sensors on board include an accelerometer, ambient light sensor, electronic compass, fingerprint sensor, and proximity sensor. The smartphone also packs a 4,000mAh battery.